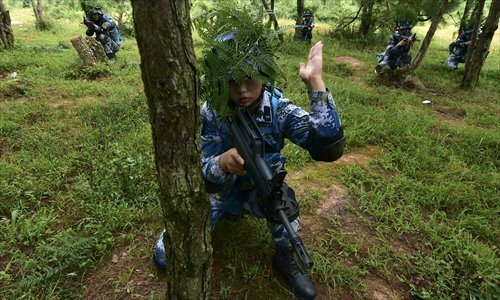 Last week, a drill for the People's Liberation Army Navy Marine Corps titled "Jungle 2015" was held in the military zone in Chengdu, Southwest China's Sichuan Province. 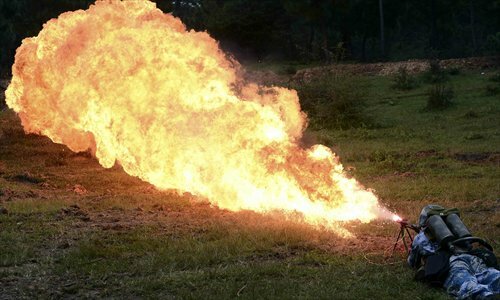 This is an annual training exercise for the marines, in order to increase their ability to fight in the hilly and forested areas. 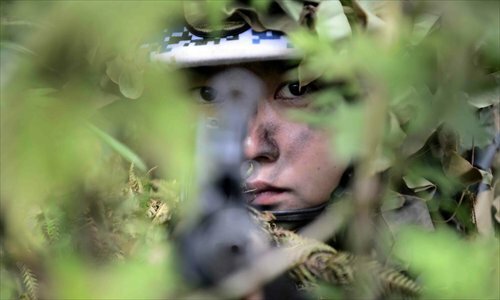 The troops taking part in the drill were from the armored, artillery and scouting corps. 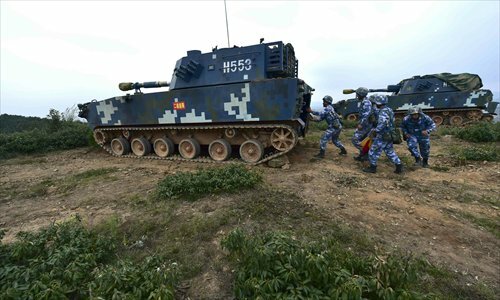 Zhang Chuanshu, director of the drill and deputy chief of staff of the South China Sea Fleet, said this training tested the ability of the troops to direct battles and cooperate in teams. 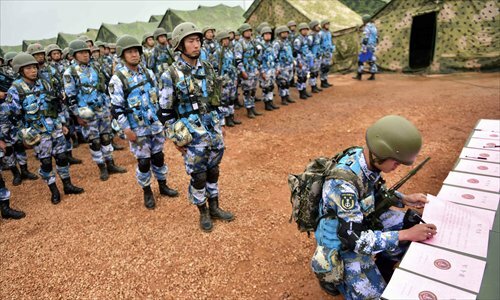 The Marine Corps are the best equipped of all the troops in China, according to the Southern Weekly. 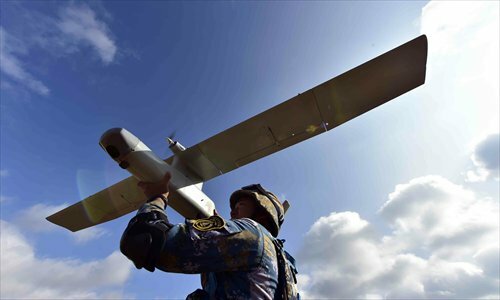 China has more than 3 million square kilometers of coastal areas and the Marine Corps will be sent out first if national security is threatened. Therefore, these soldiers go through intense training to make sure they can hit the ground running if they are thrown into battle. Hu Wufu, a 19-year-old marine, told the Southern Weekly that every day, from 7:30 am to 7:30 pm, he and his teammates walk 26 kilometers, swim five hours in the ocean and practice attacking drills seven times. They also need to familiarize themselves with different types of weaponry, both on land and in the water.